The process is wax resist. The colors are determined by the dyes. 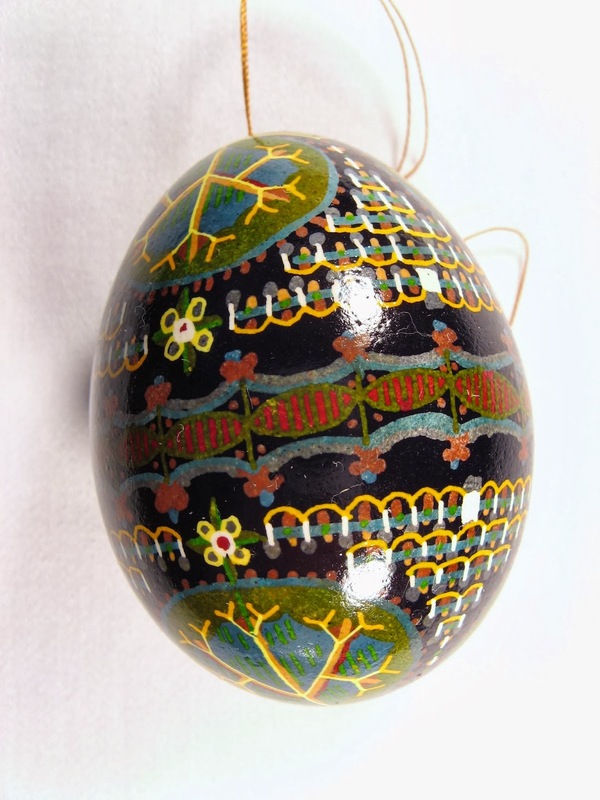 The patterns are sometimes determined by the egg shape (by no means precisely symmetrical even on the z axis). But mostly I see things in the world or in my mind’s eye, and off we go. I get the dyes, kistkas, and wax from the Ukrainian Gift Shop.